Lake Forest resident and acclaimed interior designer Frank Ponterio is flying high with his venture into private jets. One of interior designer Frank Ponterio’s clients is an avid golf fan. 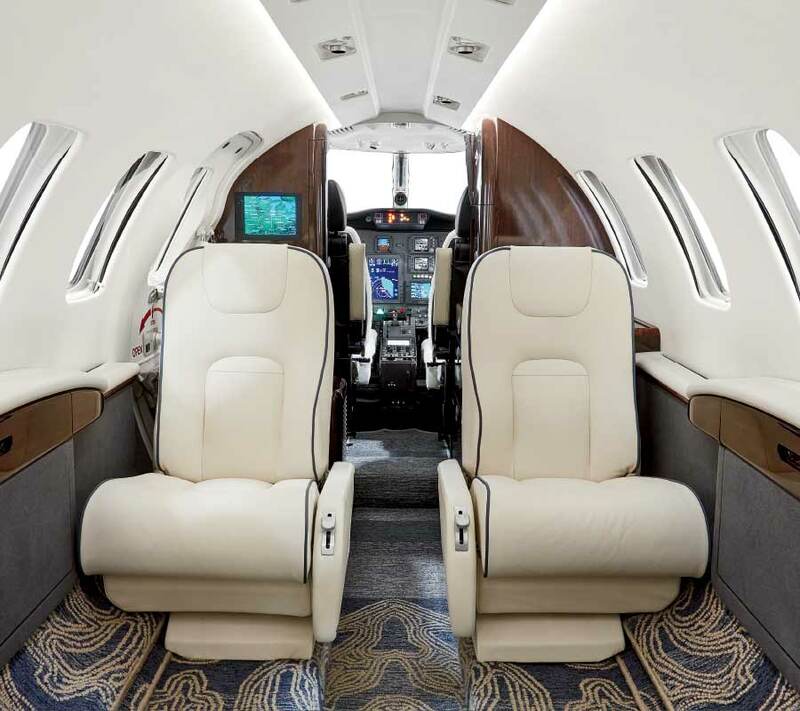 The client bought a used private jet, a Cessna Citation CJ2+, earlier this year, with the hope of flying it to Augusta, Georgia for the Masters Tournament in early April. But the interior of the bird bothered the birdie-loving client. 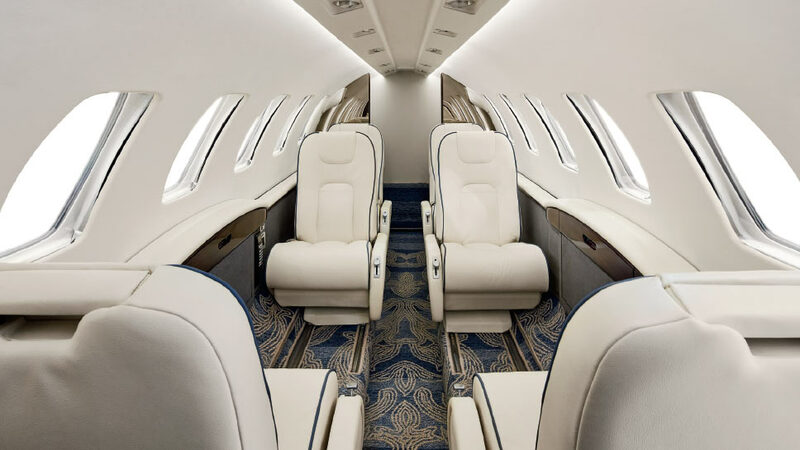 “It was just tired inside,” Ponterio says of why the client sought the services of the Lake Forest- and Chicago-based Frank Ponterio Interior Design firm to completely refurbish the jet’s inside. It didn’t matter that Ponterio—a high-profile residential and commercial designer since 1994 (when he was 23 and set up his initial shop at a slightly-bigger-than-a-nook studio in Market Square)—had never undertaken such a project. He and the client are close, and Ponterio relished the new challenge. The client gave Ponterio and his team a deadline of April 2—the morning of the first Masters practice. That meant Ponterio and his team had only 30 days to complete the endeavor. The client was thrilled with the jet makeover. Ponterio’s firm, in golf parlance, had aced it. The cabin of a Cessna Citation CJ2+ seats six comfortably, “though you could cram two more people in there,” Ponterio says. The jet’s limited space added to the project’s degree of difficulty. The wool used for the carpet was custom-dyed. The seats feature mostly soft, creamy-white leather, with segments of blue leather to make each piece pop. Chicago-based HOLLY HUNT provided the striking fabric. A blue-gray motif covers the lower-side walls of the cabin, and the jet now contains a high-gloss, mahogany millwork. All the sprucing up took place in a hangar at a downstate aviation company. Word of Frank Ponterio Interior Design’s fine jet work reached ears. His firm, Frank says, already is in conversation with another jet owner who is interested in renovating his aircraft’s passenger section. Ponterio was bent on becoming an architect out of high school. The quickest way to get a master’s degree in the field back then, he learned, was to earn a degree in interior design. Interior design and Frank Ponterio went hand in hand—make that, hand-in-handmade materials. His designs on building designs took a backseat to energizing rooms inside buildings. Another factor that paved the way to his chosen career was his parents’ heritage. Both are from Italy; his mother was raised there. “Every summer, on weeklong trips, I’d visit family in Italy when I was young,” says Ponterio, a project manager for a construction company for a couple of years before founding his eponymous firm. “I’d see Venice, Florence, Rome. I was exposed to rustic farmhouses. Among his high-profile commercial interior design projects to date have been ones at Conway Farms Golf Club in Lake Forest and Northmoor Country Club in Highland Park. Historic residences built by esteemed architects—including Howard Van Doren Shaw, Philip Lippincott Goodwin, and Nathaniel Owings—also have received Ponterio’s creative touch. Frank Ponterio started a partnership with renowned fabric and furniture company Lee Jofa last fall. His firm plans to launch a business line next spring with ARTERIORS, a go-to source for interior designers that produces handmade or artisan-crafted items. Next summer Frank Ponterio Interior Design plans to create a line for one of the biggest fabric houses in the world. 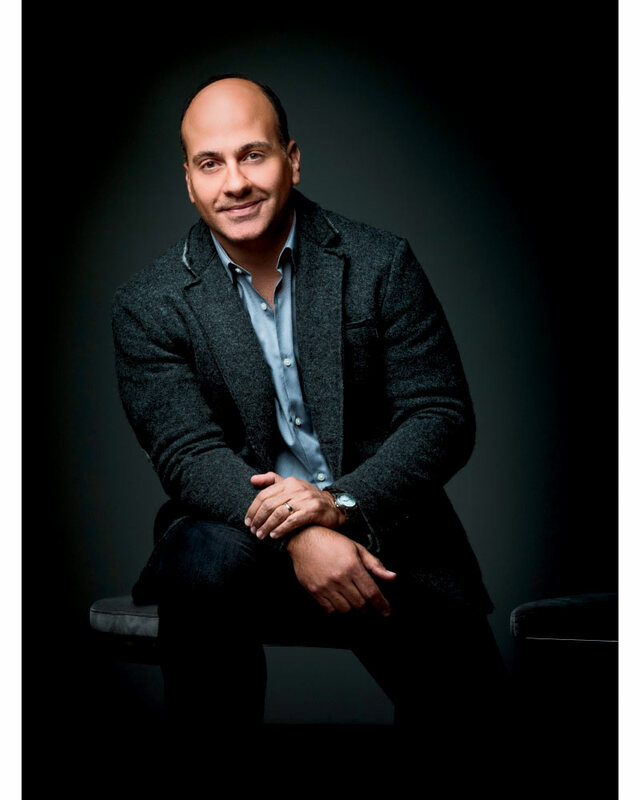 Frank Ponterio Interior Design continues to grow—at a supersonic clip. Frank Ponterio Interior Design is located at 1450 West Old Mill Road in Lake Forest, 847-234-5704. The firm’s Chicago studio site is on the third floor of a downtown building at 500 North Wells Street, 312-464-1133, frankponterio.com.